The area covered stretches right down from the northern beaches of Les Landes to the reefs of the Basque country. 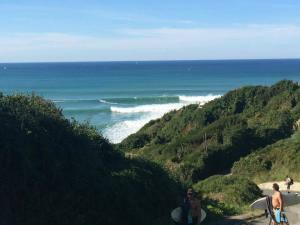 If the swell is going to be huge then we can negotiate a price to take you and your friends all the way to the world famous break of Mundaka in Spain. The further North you go from Hossegor the thinner the crowds get. The mistake that most make is thinking that the quality of the surf is less. In fact the world class waves are the same , you just need to know where. La Lette is a super hidden spot just north of Moliets. Its where the forest meets the beach. 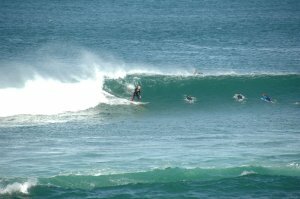 Moliets is one of the great northern beaches that always seems to have good waves. Its very big and easy to find an uncrowded wave. Messanges is heading south and depending on the sand banks can be real good. A short walk from the carpark. Vieux Boucau is another hidden gem of the north with consistently good banks. Contact us for any more details on the North. Hossegor is on every surfers lips when heading this way. Its true that it hosts some of the best waves on the planet. Unfortunately you need to know where to be and when to not be to avoid the crowds, but we can do that for you. La Gravier is the best wave in Europe and one of the best in the world. Hold ya hat on and prepare for a flogging if you not an expert. A great wave to watch from the beach. La Sud is a friendly learner wave , but always busy. Capbreton plages are great for beginners but crowded. Generally we head south when the swell is too big. We stop first at Labenne and will go all the way to the Basque country reefs of Guethary. Anglet is a super pretty little spot. One of Slaters favorites are here, Cavaliers. Labenne is a fully gnarly spot with many different spots. Less crowds , but localized. Biarritz is always good fun , mellow waves for the less confident. Hell crowded. Guethary is not for the faint hearted. A big wave reefhalf a kilometer out. Lafetania is in the shot below. Really long right hand point break, but crowded. Hendaye is the last beach in France. Great for beginners. Contact us for any more details on the south. We can do it in a day. There are a lot of real good fun waves including of course the left at Mundaka. 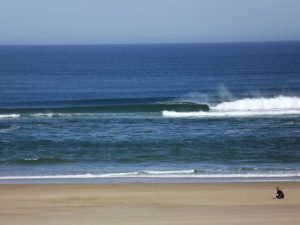 Plenty of swell needed for Spain, and its also a full day trip. Do i have to be an expert to have a surf guide in Hossegor ? Absolutely not. Surf guiding is exactly that. Its a question of what type of waves you want to surf. We do ask that you have passed the very elementary stages and you need to be able to stand up. Improvers : we can guide you to a mellow wave without hundreds of people. For the more advanced : tell us what kind of waves you want to surf and we will guide you to a spot with the quality waves , but without crowds. Big wave chargers : If you charge but havent been here before or dont know the Spanish spots , we will guide you to the spots and explain where to and how to get outback. 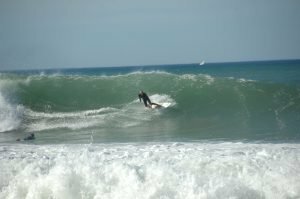 You are on a surf trip, so treat yourself and take advantage of Troys 30 years of local knowledge and over 40 years of surfing and ocean knowledge. 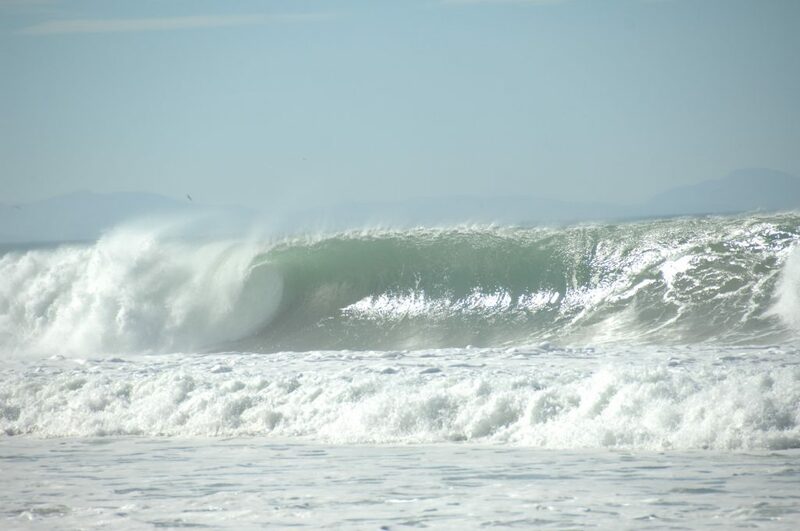 Find the best waves for the day or your entire surf trip, like this nice 10 foot right hand point! Check out the Prices and other options or Get In Touch with any questions.